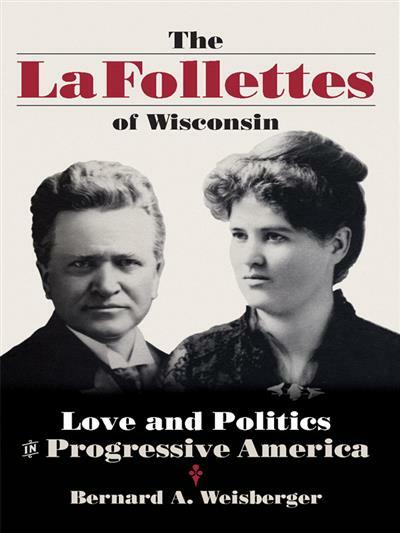 The La Follettes of Wisconsin Love and Politics in Progressive America | Free eBooks Download - EBOOKEE! The La Follettes of Wisconsin-Robert, Belle, and their children, Bob Jr., Phil, Fola, and Mary-are vividly brought to life in this collective biography of an American political family. As governor of Wisconsin (1901-06) and U.S. Senator (1906-25), "Fighting Bob" battled relentlessly for his Progressive vision of democracy-an idealistic mixture of informed citizenry and enlightened egalitarianism. By contrast, the private man suffered from intense, isolated periods of depression and relied heavily on his family for survival. Together, "Old Bob" and his beloved wife, Belle Case La Follette-a lawyer, journalist, and Progressive leader in her own right-raised their children in the distinctly uncompromising La Follette tradition of challenging social and political ills. Fola became a campaigner for women's suffrage, Phil was governor of Wisconsin, and "Young Bob" became a U.S. senator. No comments for "The La Follettes of Wisconsin Love and Politics in Progressive America".